Here are the discussion questions that accompany my message, “Suffering and the Surprising Plan of God,” from this past weekend at Eastbrook Church. This is the second part of our series, “Turning to God in Troubling Times,” from the book of Habakkuk. This week we looked at Habakkuk 1:5-11. Have you ever had a season of life where one thing seemed to go wrong after another? What happened and how did you deal with it? 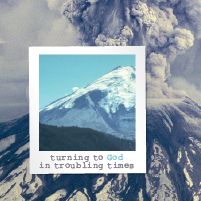 We continue our series, “Turning to God in Troubling Times,” from the book of Habakkuk this weekend at Eastbrook. This study takes us into Habakkuk 1:5-11, where God responds to Habakkuk’s complaint in 1:1-4. Take some time to pray, asking God to speak to you as you, and then read Habakkuk 1:1-11 aloud. Background: Habakkuk is most likely prophesying during the time of 609-598 B.C. By 612 B.C., the Babylonians had overrun all three capitals of the Assyrian Empire: Assur, Nimrod, and Nineveh. Thus, the great threat to Judah posed by the Assyrians was driven away and replaced by the rising threat of the Babylonian Empire. In 597 B.C., the Babylonians came against Jerusalem, deporting some its leading citizens, and in 587 B.C., the Babylonians completely conquered Jerusalem. The word ‘Chaldean’ is another term for ‘Babylonian’ during this time. In 1:5, God says He will act in response to Habakkuk’s sense that God is not listening. Why would this be an encouragement to Habakkuk and his listeners? Habakkuk’s first complaint to God (1:1-4) centers on the violence and wrongdoing within the kingdom of Judah in which he lives. Based on what you read in 1:5-6, why is God’s response something that will utterly amaze Habakkuk and his hearers? Looking through verses 6-11, the character and ways of the Babylonians are described in vivid detail. Take some time to consider these different characteristics. Why would these words send terror into Habakkuk’s hearers? 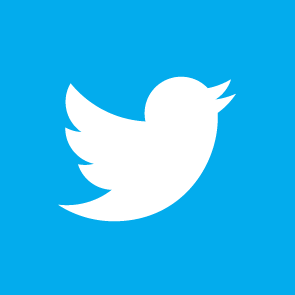 What situations in your own life, our nation, or the world are shocking or utterly amazing in a negative way right now? Why is that your response? A major theme of Habakkuk is the sovereignty of God in the face of human threats. Why do you think it is significant that God is shown as the one doing something amazing by raising up the Babylonians (1:5-6), even if this is not Habakkuk’s hope in response to his prayer (1:1-4)? What does this tell us about who God is? It is important to see that God calls out the actions of the Babylonians as wrong; they are “guilty people” (1:11). From what comes later, in Habakkuk 2:2-20, we know that God will deal with them, too. Why do you think God would use “guilty people” to work His purposes out in the world? Have you ever seen this happen? How is God speaking to you through God’s words in Habakkuk 1:5-11? If you are with a small group, discuss that with one another and pray for one another. If you are studying on your own, write it down and share it with someone.